LUX* Grand Gaube offers a host of active pursuits for all ages including a world-class gym with personal trainers to kick-start your fitness regime or keep you topped up whilst on vacation. The team also provides a wide range of indoor and outdoor classes designed to inspire, motivate and challenge. 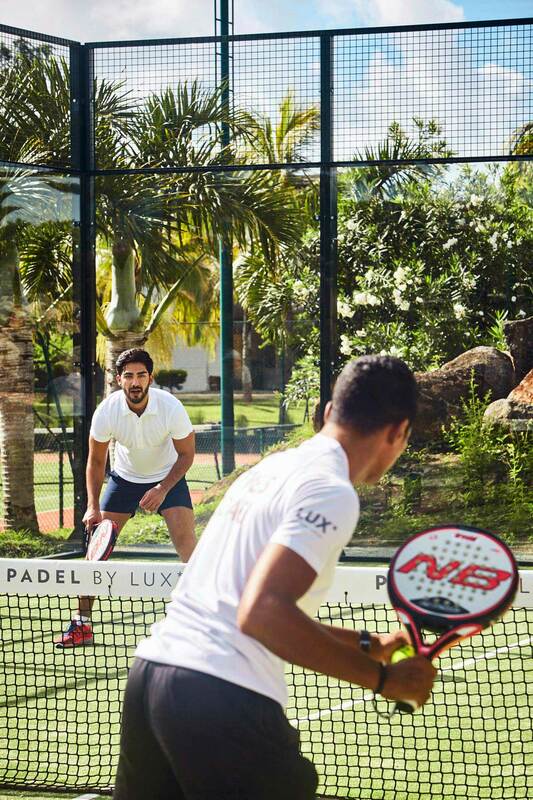 We also have an extensive Tennis Academy with floodlit courts for after-dusk rallies and alongside is a dedicated Paddle Tennis court - a fast-paced combination of squash, tennis and badminton and a must-try whilst here. Further sporting activities include a golf diving range, bikes to explore the resort and surrounding villages and even a round of pétanque under the shade of an ancient banyan tree. Not to be missed is a trip onboard LUX* Air, a light seaplane that takes off from the calm waters off our beach before gliding over coral reefs and the local coastline. The resort also houses an extensive water-sports centre with motorised and non-motorised activities to get you out on the waves and exploring the outstanding natural beauty of the lagoon and Indian Ocean.